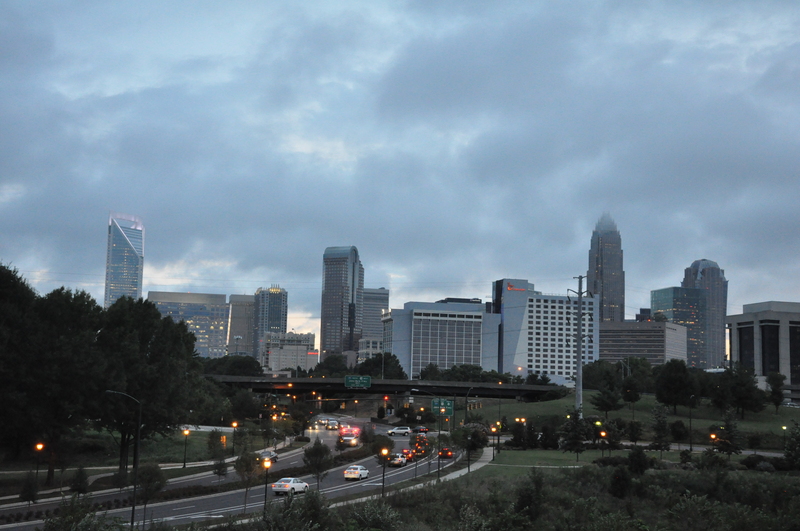 While we were in the States for the wedding, I was able to visit Charlotte, the city in which I lived after college (up until Switzerland) as my first stop. Sadly, Gabe’s vacation is a bit limited, so he couldn’t join for this part. I landed in the Queen City after a succession of three flights and nineteen hours of travel. My bags miraculously made it, which surprised me greatly because my connections in Paris and JFK involved lots of running. So, thanks, Delta. Driving around the first few days in the States is a typically a combination of good / sad at the same time. First off, I love driving. I really miss it when in Geneva, since I don’t how to drive our manual car. Especially on hills. I crank the radio really loud and enjoy singing loudly to the English Top-40 songs that play…it’s good to actually know the words and have a change from the same 5 English songs they play on repeat in Geneva. Other highlights are visiting my friends and hitting the favorite spots. And doing hot yoga as much as I can to try to burn out of it before I go back to Switzerland. However, as I am driving around, passing parts of Charlotte make me tear up. Passing R’s old apartment, my eyes welled remembering all the good times we had as single girls in the city and all our post-work neighborhood walks. Driving to work to meet coworkers is another source of nostalgia since I worked for the same company for ten years. “Camping” in my old house, which is now completely empty is another emotional spot . – Charlotte = Blond + colorful. The first 4 hours of my first day in Charlotte included a hot yoga class and a sermon at my old church. Everyone dressed brightly in both places. And there were astonishing amounts of blond people. In Geneva, most everyone dresses in black and dark grey. Occasionally, if they are feeling wild, it can go navy. And skin and hair colors are of full range, since 50% of the city is made up of foreigners including pretty much every nationality. I never really noticed this prior….but it was a really overwhelming observation on my first day back. – Customer service. Readers of this blog know that I have my challenges with customer service in Switzerland. You never ever sub / delete anything from a dish on a menu, or else they would just suggest you order something else. 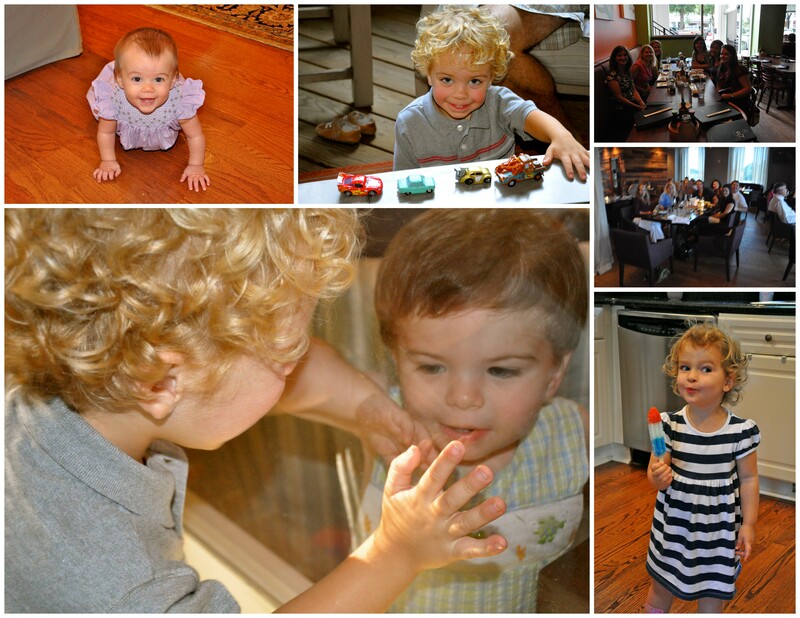 When I dined with friends in Charlotte, a few times, they made substitutions or changes. One friend someone sent something back. I shrunk back in my chair, awaiting a backlash….but, the waiters could not have been more accommodating. After our time in Europe, it has become odd to me how much American servers check on their tables or come around for refills. Since this is not something I am used to anymore, I have this odd paranoia surrounding overly nice servers like they are going to do something crazy any moment. Weird, I know…..it’s just that I have been reverse-conditioned for Southern hospitality. – Related, but customization. I frequented a few frozen yogurt stores in Charlotte. I am a huge fan of fro-yo, but even since we left a year and a half ago, there is a crazy proliferation of the little joints….I counted 7 more storefronts than I’d seen. And all of them allow you to make your own….so you fill the yogurt, and add your toppings, and weigh it, then pay. Similar to this, in enjoying meals with friends at Bad Daddy’s and going to new Dilworth addition, Crisp, I was able to re-experience the “build your own burger” and “make your own salad” concepts. This was familiar before our move, but after living in Geneva for a year and a half, it was unfathomable to me….customers can have it however they want. This is definitely not part of our Swiss vocabulary. – Speed of life. Everyone is in a rush in the US, running around, jamming things in. This type of hurried lifestyle is one of my least favorite characteristics about myself that I know I need to improve and I am trying to work on. It is easier to work on Switzerland where fewer people behave in this manner, so it becomes more normal to take things slow. However, I noticed myself picking up the pace in the US during my short time and becoming more “efficient” to keep up. It reminds me that I’ll have to figure out how to bring back the Swiss calmness and lessons learned on relaxing when we move back home permanently. – Doing errands is easy in the US. I know where things are and what type of stores have them. I don’t have to research where, the address, and bus schedules. I just hop in the car and go. The best is that I can keep purchases and future supplies in the car versus schlepping them around all day. And, I can go in my gym clothes which is a huge no-no in Geneva. – Cost. When a few of my lunches added up to $7 – $10 USD, I gleefully forked over the cash. These lunch meals would have been 25 -40 CHF in Geneva. This is why I have only eaten lunch out in Geneva five times in 15 months. It felt nice to eat out and not feel like I was going to bankrupt us doing so. – I still am afraid someone is going to steal my purse. I never used to be afraid of this in the States, but living in Europe, its a constant worry….after all, most of my friends have caught a hand in their zipped purses at some point or another and a few others have had purses or wallets stolen. I caught myself looping my leg through the straps while in church and realized I can likely adjust my behavior while home and relax just a little bit. Thanks for a great visit, everyone! This entry was posted in Cultural Differences, Travel: USA. Bookmark the permalink. ← Gratitude Friday: Our new family member! Great seeing you a few weeks ago!!!! Wish that it could have been a longer visit~Miss you! Good pic of Lucy-can you send?